Many homebuyers feel overwhelmed when it’s time to think about financing; where do you start? Of course, this depends on where you are in your financial situation. Do you have a stable income (for at least 6-12 months)? A satisfactory credit score (620 and above)? What about down-payment? If all is in place, you could be qualified for a pre-approval. Ideally, an educated homebuyer knows how much they can afford before they start shopping for a house. Pre-Assessment: Set up a meeting with your mortgage agent to discuss your options based on a quick assessment. Your agent will try to determine your goals and preferences (remember, their services are free to you and they are vowed to provide only unbiased advice). Begin a mortgage application: After having a realistic conversation about your down-payment and affordability, your agent will ask you to fill out a mortgage application to get a precise idea of where you would be approved. Your agent has access to over 90 banks, credit unions and private lenders and only needs to pull your credit report once (this protects your credit score).You will also need to provide supporting documents to confirm your income; usually 2 years T4 slips and NOA’s, 3 current pay stubs and 2 pieces of ID. Your down-payment and current debts will be taken in consideration when determining how much you can be approved for. 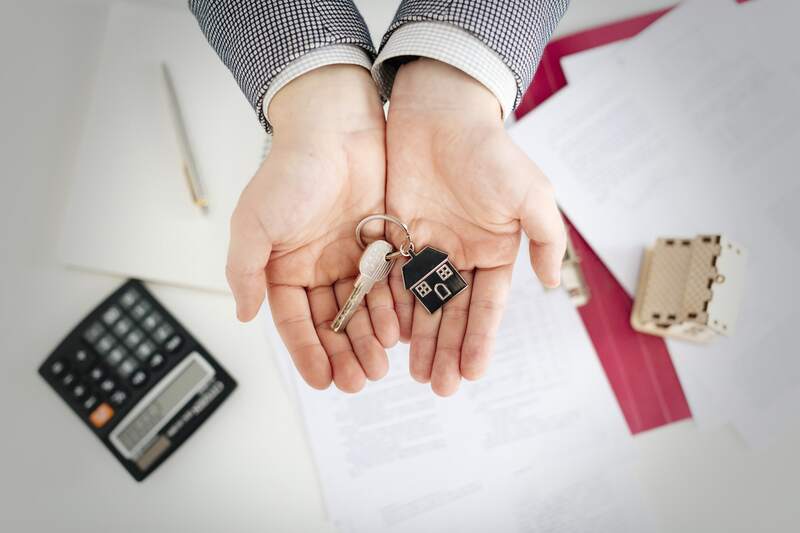 If you’ve already started looking for a home, the purchase and sale agreement, MLS and contact information of real estate agent and lawyer will also be required. 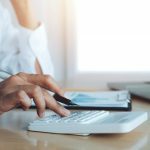 Review: Your mortgage agent will review your application and credit report and will discuss with you how much you can afford based on your GDS and TDS (your Gross Debt Service and Total Debt Service). Usually, these numbers need to be below 32% in order for a lender to approve you. Your mortgage agent will also explain to you what the Stress Test is and how much you will qualify for. 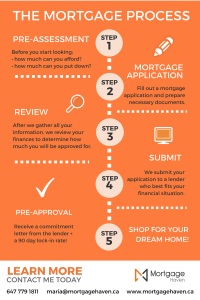 If your application doesn’t meet lender requirements yet, your mortgage agent will help you adjust your credit and application in order to get you approved! Fret not, there are still many options left. Submit: After your mortgage agent is confident you have a strong application, they will submit it to a lender that best fits your financial situation. It is also their job to communicate your situation to the lender and make a compelling case. Once again, if you don’t fit requirements yet, fret not as there are many options left. Pre-approval! If all goes well, you will receive a commitment letter from the lender and a 90 day lock in rate (this means they will offer to hold the rate you qualified for until the house closes). In the meantime, you are to provide the outstanding documents asked for in the commitment letter in order to make sure all conditions are met. 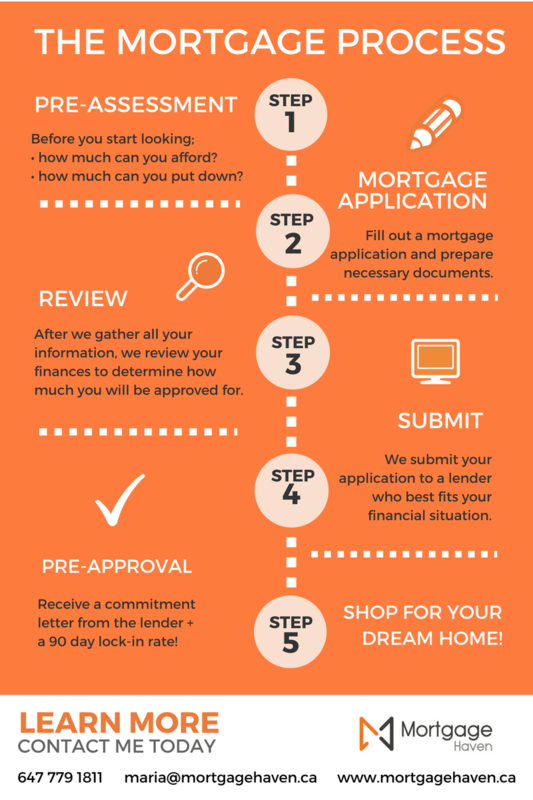 Your mortgage agent will guide you through this process while you shop for the home of your dreams! Remember, this is not the time to buy a new car or make any drastic changes in your financial situation. The mortgage process doesn’t need to feel overwhelming. Your mortgage agent will guide you every step of the way and help you get approved!